The World Health Organization’s International Agency for Research on Cancer classified glyphosate as a probable human carcinogen in 2015 and said years of research on the chemical shows strong evidence of genotoxicity and oxidative stress from glyphosate, including findings of DNA damage in the peripheral blood of exposed humans. 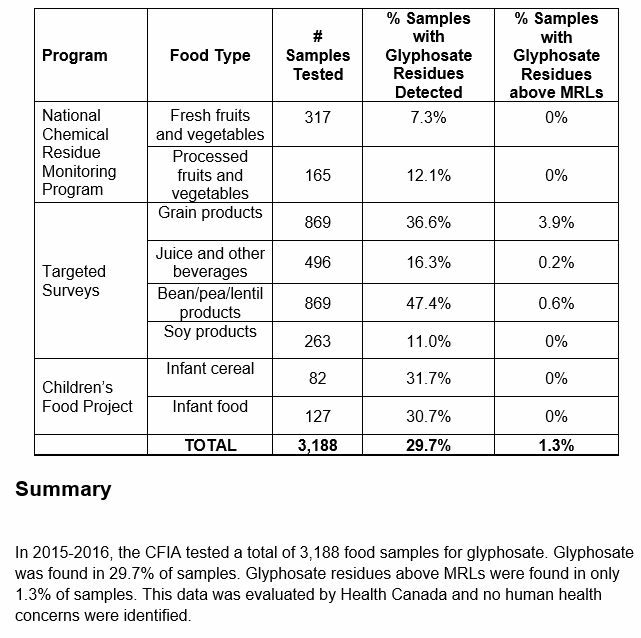 Many regulatory bodies, including the U.S. Environmental Protection Agency, have determined glyphosate is not carcinogenic, but the issue is the subject of much controversy. Internal Monsanto documents revealed through litigation in California indicate that the company many have ghost-written studies attesting to the safety of the chemical that were relied on by regulators. They also show the company discussing an EPA official that may help “kill” a cancer study of glyphosate.